Cranes and construction workers are busy in the Parc des Cèdres with the construction of the new Marina Pavilion. Some extraction of contaminated soil was necessary. 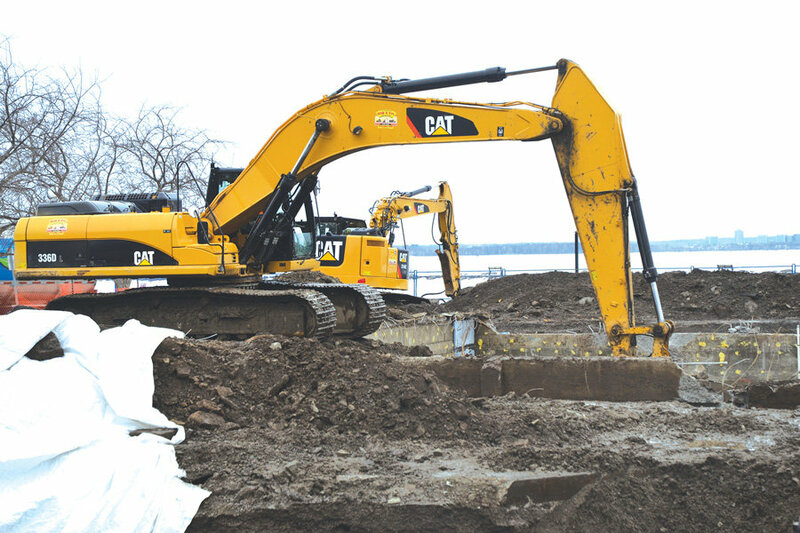 “There is some contamination, but nothing major since the contamination was probably caused by the fact that it is under a fill,” says the City. The contamination comes from the water since the Ottawa River is very close by. The City says that for the time being, the construction progresses well with no major concerns and meets deadlines. According to the City, no additional costs should be encountered for the project. The old Marina Pavilion was demolished in the fall 2018.